In this 360-degree film, you will see how the compliance management application Mantis of Alveus is being used by one of our customers Mineralz, a Renewi company. You follow an operator who has been sent his checklist and then starts answering the questions on the work floor with the tablet. The identified non-compliances are then automatically sent to the appropriate supervisor. 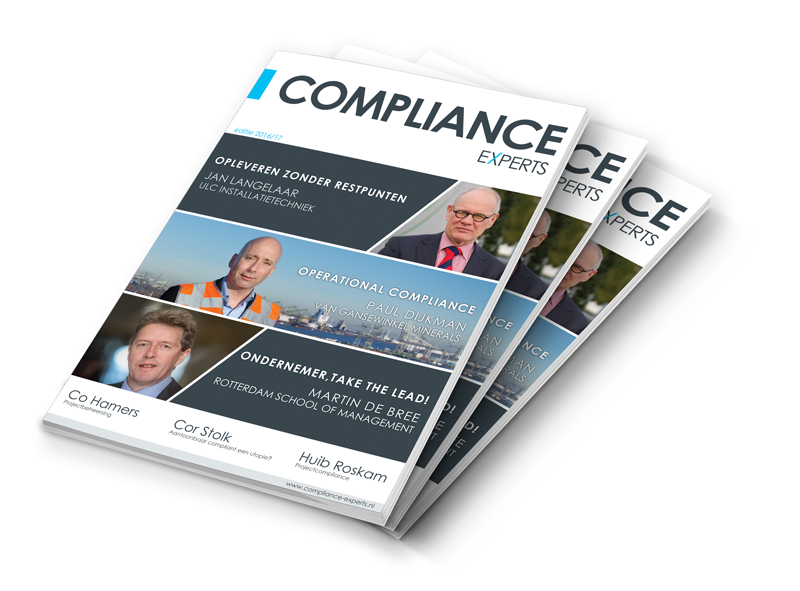 For this first edition of the Compliance Experts magazine, we have asked several experts from the industries of contracting, energy, risk management, infrastructure, recycling and the academic world, to contribute to this magazine and share their views on the topic of compliance. Especially in technical fields, non-compliance does not only potentially result in substantial economic damage, but it can also cause damage to people, the environment and a company’s image. We have asked the experts how they guarantee compliance and what processes they are deploying. We also asked them how they ensure compliance throughout their entire organization, in other words, how they get compliance processes and controls accepted at all levels of the organization, from the work floor up to management. The articles and interviews about successes and lessons learned show that compliance is a broad theme that should not only express itself in the legal department, but should be supported throughout the entire organization.